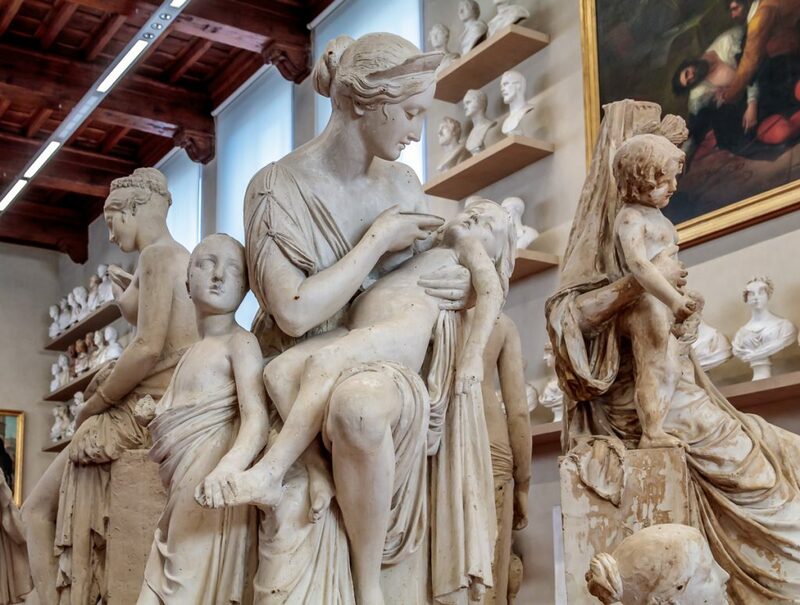 Just around the corner from David is a gallery of plaster casts called Gipsoteca Bartolini (Hall of Models by Bartolini) . 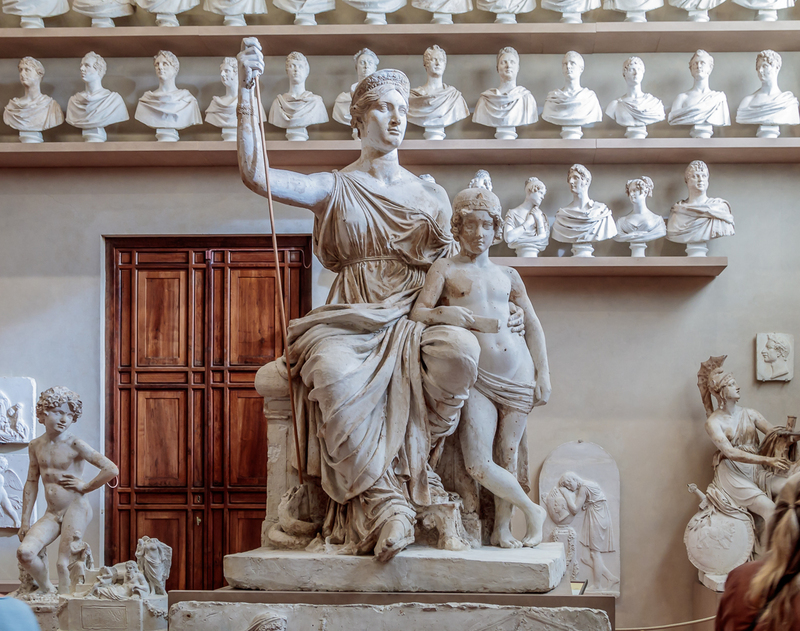 The artworks exhibited here were first exhibited in Lorenzo Bartolini’s studio in Borgo San Frediano (across the River Arno). They were meant to be models for students of art and were moved to their current location in the same arrangement where they were originally placed by the artist. 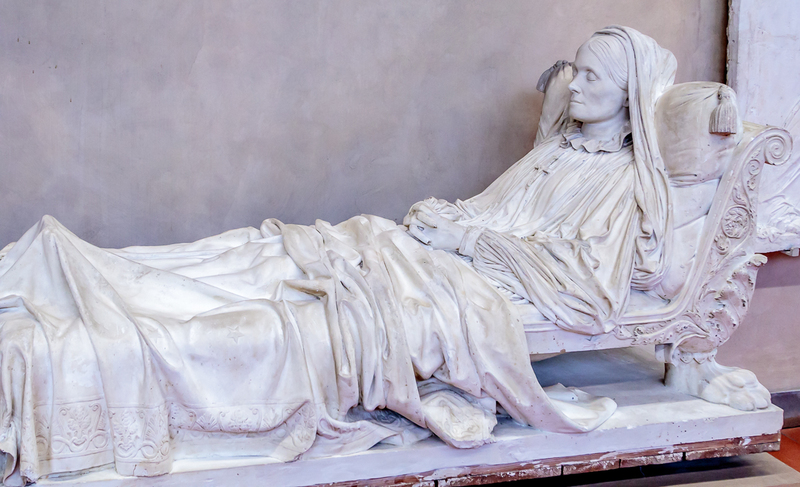 These works showcase various celebratory, private, or monumental plaster cast models often intended for sepulchers. 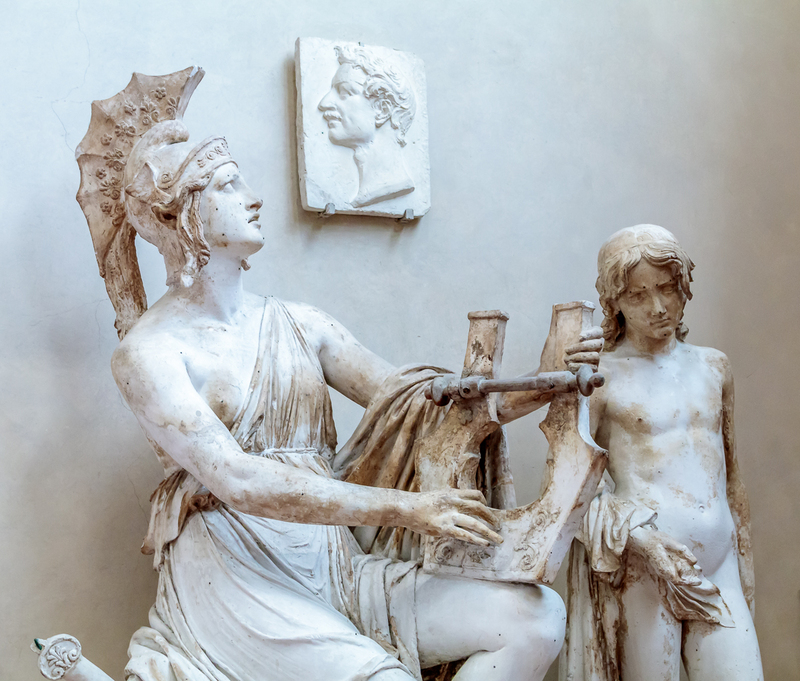 Currently, the Hall exhibits plaster models by Bartolini and Pampaloni. 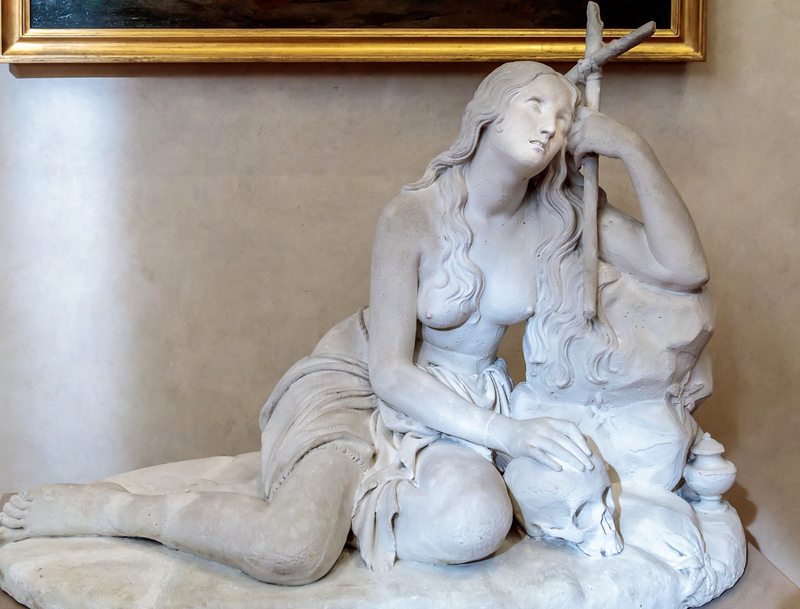 Both artists were active in Florence in the first half of the 1800s and were well liked by patrons, Italian and foreign aristocrats, as well as the family of Napoleon Bonaparte. 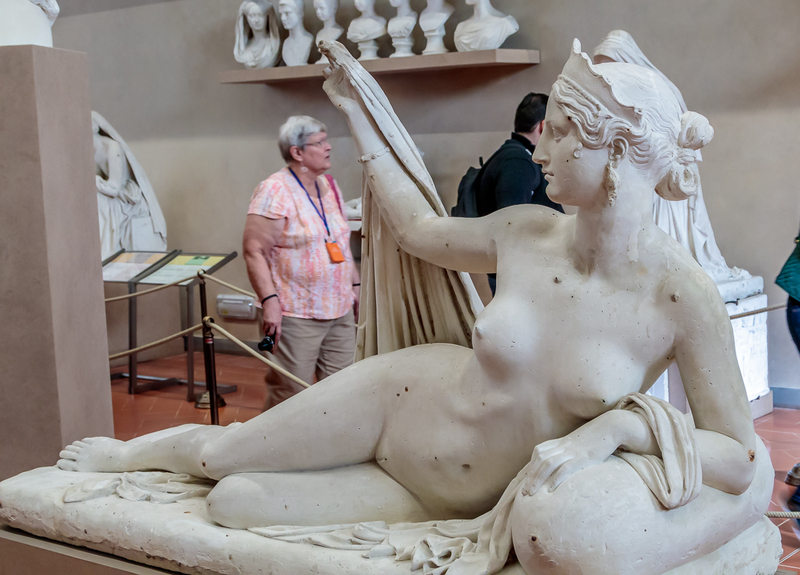 All these elegant models were made of clay or plaster. 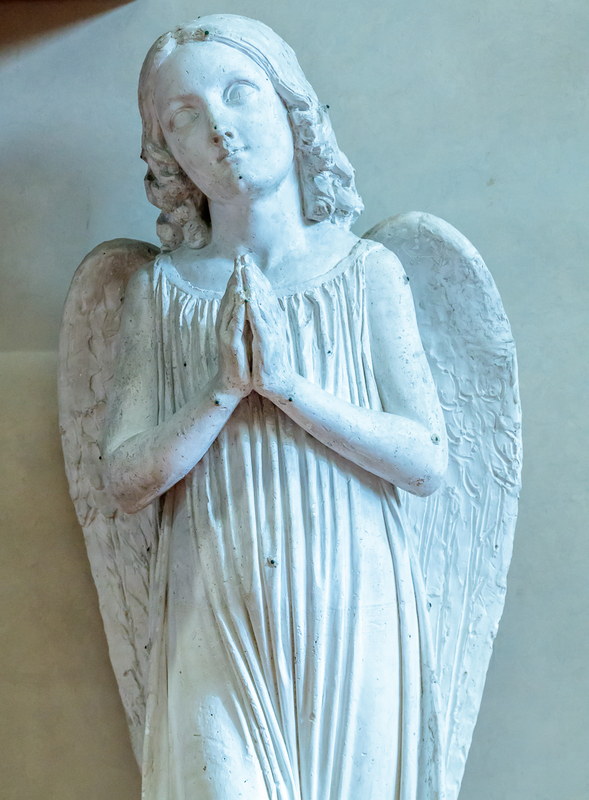 Nails were inserted into the model at regular intervals to serve as reference points. The block of marble would be rough-hewn and the reference points in the plaster models transcribed onto the marble for precise references for the different depths needed. 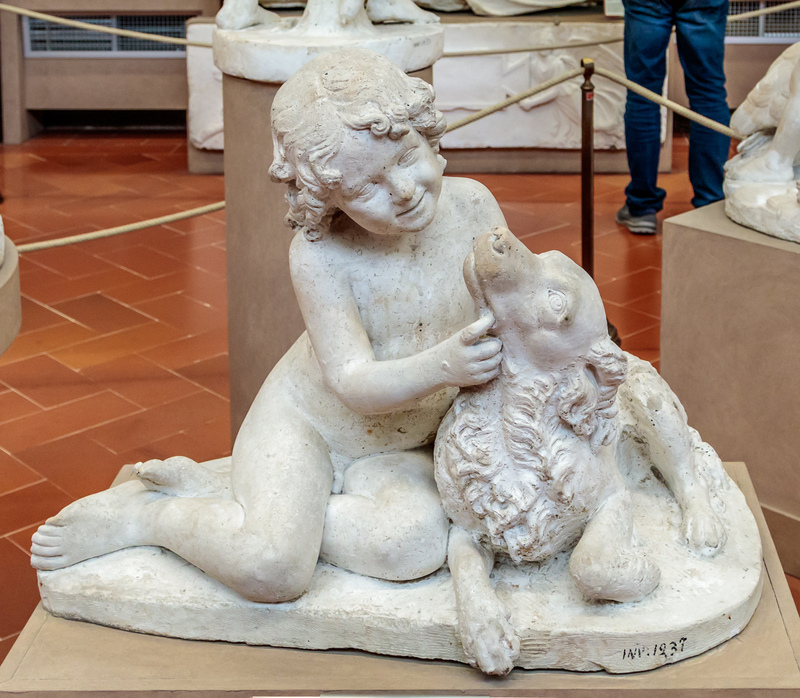 At times the models were treated with patina in order to imitate the effect of terracotta, marble or bronze. 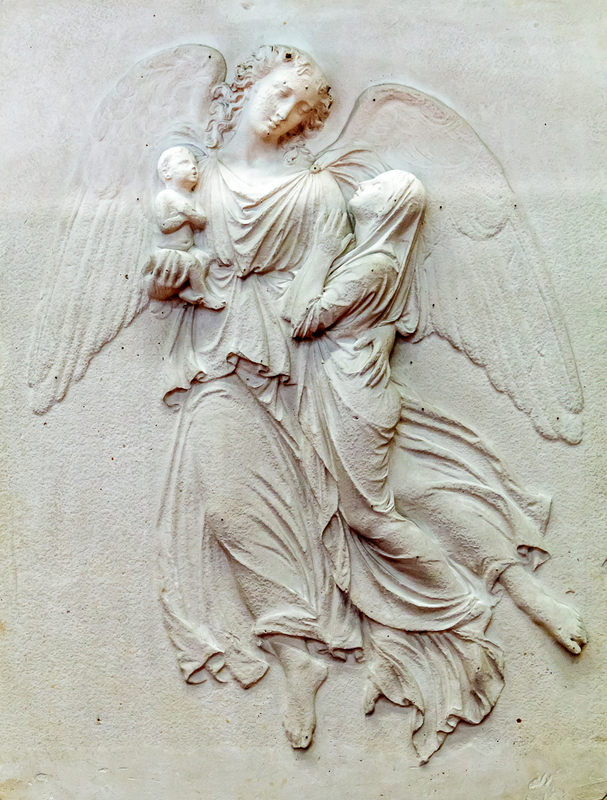 The technique of modeling is an old and delicate process used by sculptors before facing the block of marble. Gold-backed altarpieces represent an invaluable art collection coming from the most important Florentine churches and ancient convents. The brilliant colors of recent restorations introduce the visitor to the most popular subjects requested by the Church and merchants during the 14th century. 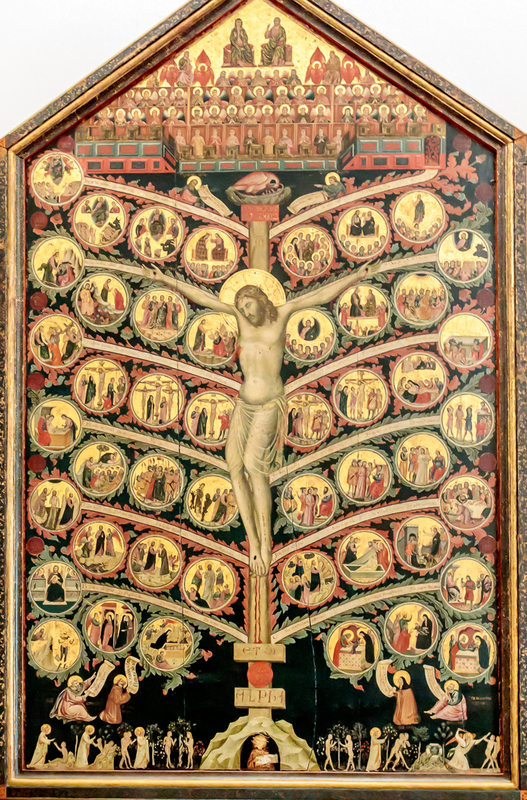 This Tree, rooted in the Garden of Eden, shows episodes of Christ’s life and represents Salvation and offers gifts to humankind, depicted as fruits alongside the twelve branches. 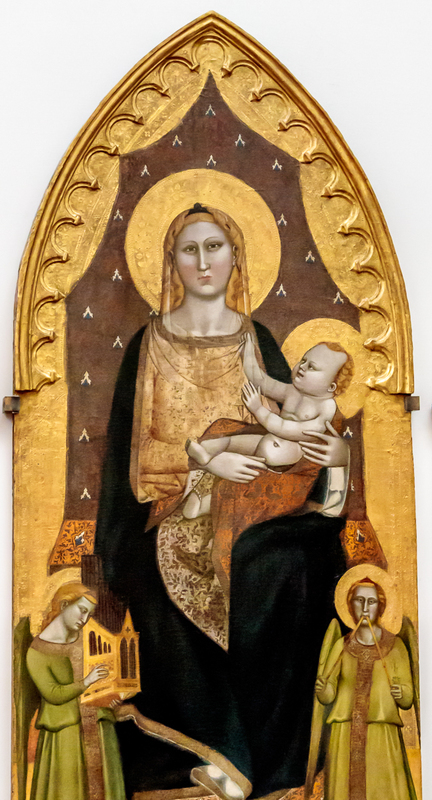 For a more complete description, see http://www.accademia.org/explore-museum/halls/florentine-gothic/. 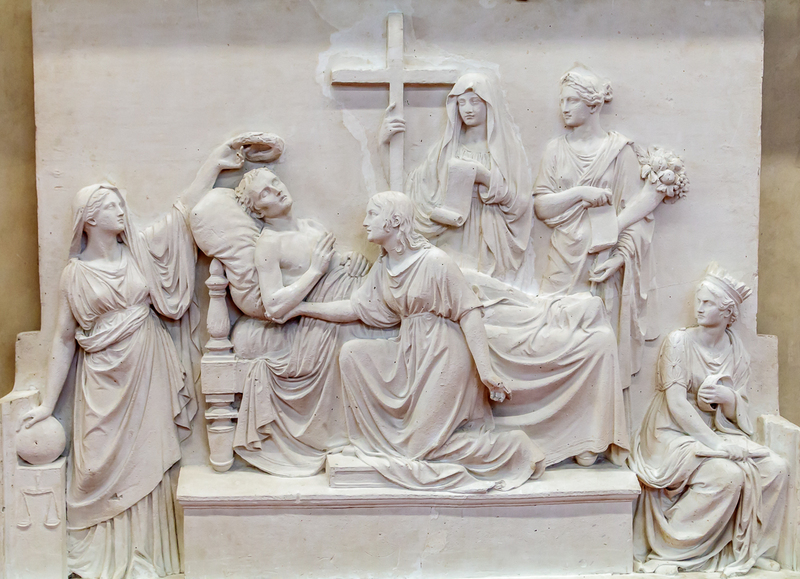 Christ’s heavy body is flanked by the sorrowful figures of Mary and John the Evangelist, while the ends of the arms depict “The Mocking of Christ”, “Christ at the Column” and “The Way to Calvary”. 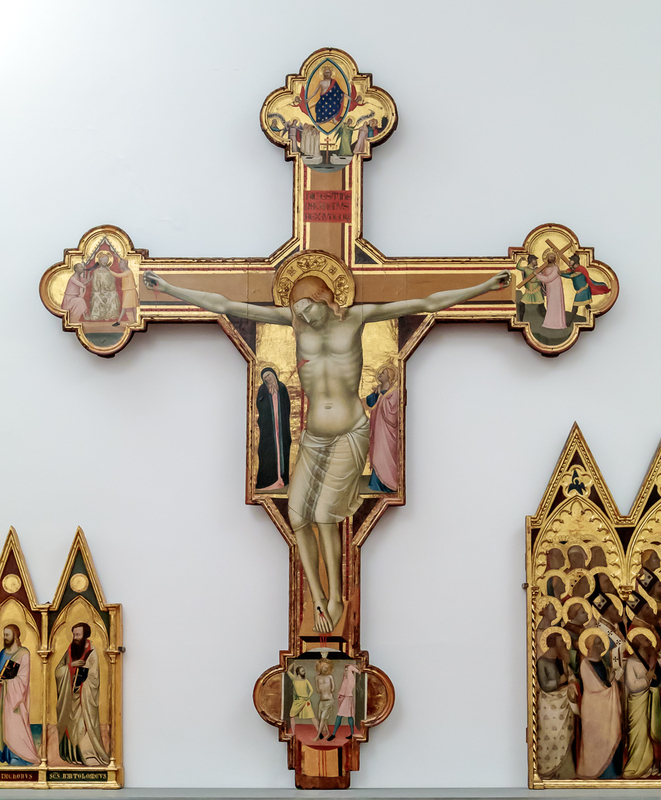 At the top of the panel, Christ is painted as “Jesus Pantocreator at the Last Judgment” within a shiny almond shaped space. 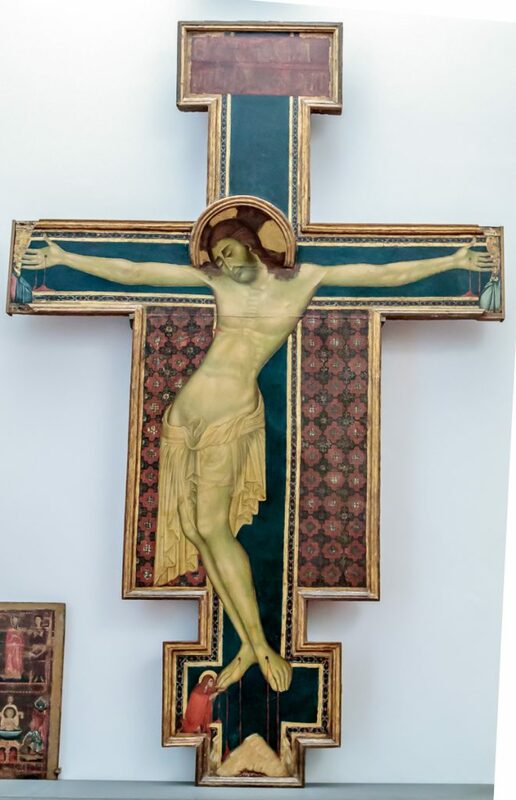 In the same branch of the cross, one can read the Latin inscription “DICEST IESUS NAZARENUS REX IUDAEORUM” (Jesus of Nazareth King of the Jews). 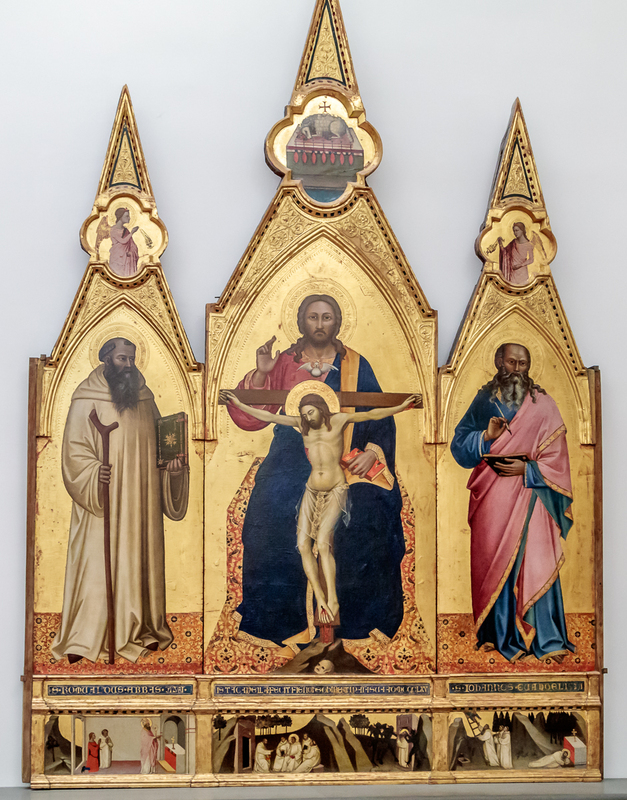 This large, gold-backed triptych features an imposing, solid God Father enthroned behind the Crucified Christ and with the white dove which symbolizes the Holy Spirit. 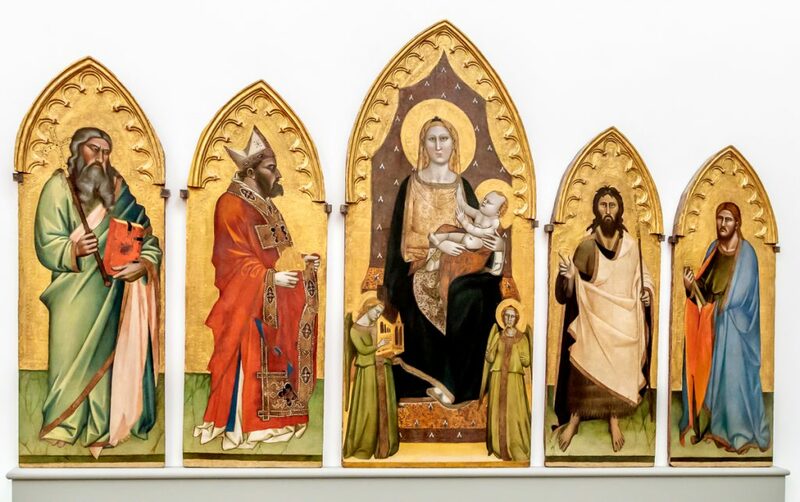 On either side of the central panel are St. Romuald, founder of the Camaldolese order, and St. John the Baptist. 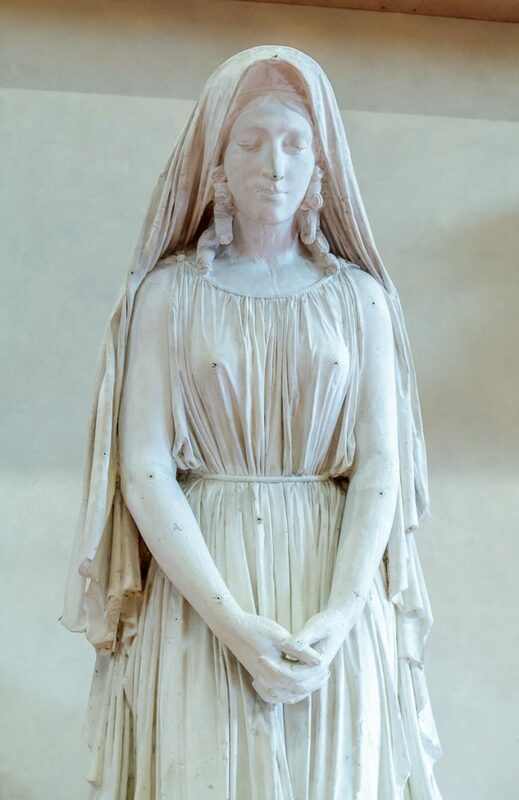 http://www.accademia.org/explore-museum/halls/florentine-gothic/. Other examples of this art are shown below. Again, the photos do not do justice to the beauty of the are in this museum. I will have one more post from this museum of some of the paintings I enjoyed. 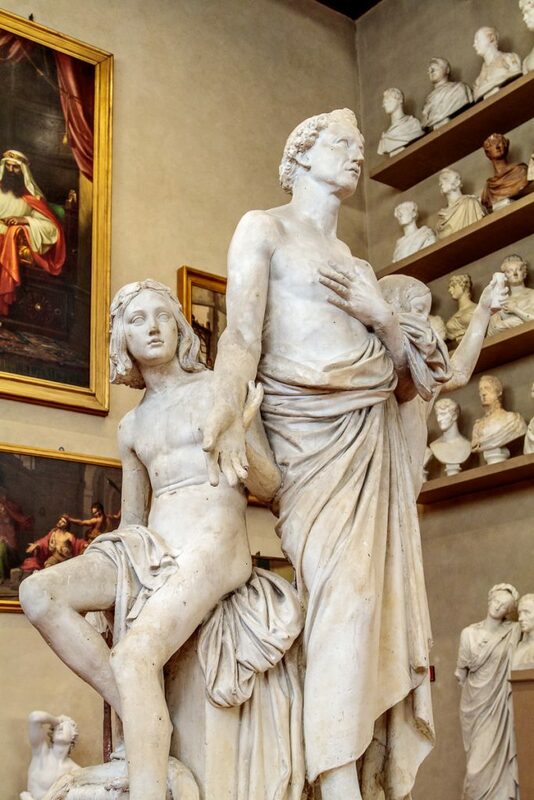 This entry was posted in Travel and tagged Academy Gallery, Florence, Gothic, Italy, Plaster Casts.